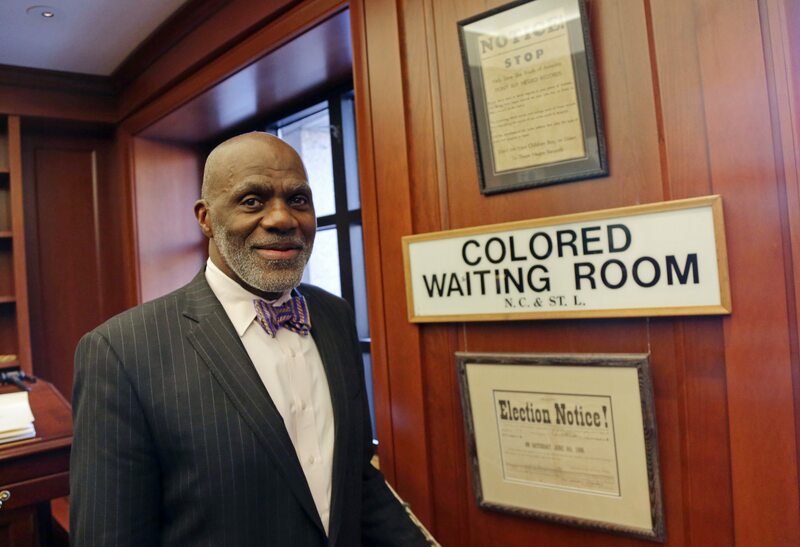 Why does Alan Page have to leave the Supreme Court? Alan Page, the former Minnesota Viking and current justice of the Minnesota Supreme Court, will turn 70 in August, and by the end of that month, he has to retire. It’s the law in Minnesota. The Legislature enacted the law in 1973 that gave judges (and their spouses) retirement benefits in exchange for leaving the position. But it wasn’t until 1986 that the Minnesota Supreme Court settled the question, ruling on the challenge of Judge Gaylord Saetre, a district court judge, who challenged a 1956 amendment to the Minnesota Constitution giving the Legislature authority to set the retirement age. The Supreme Court turned aside the challenge with — at least by today’s standards — few words. Saetre died in 1999. He was 82. Since then, Supreme Court justices have gone quietly with no complaint. The person most likely to challenge the retirement law changed state history by deciding not to. Chief Justice Peter Popovich was an ardent critic of the law. But when he reached retirement age in November 1990, he decided not to challenge it. “It appears to me it would be unseemly for a judge, especially the chief justice, to be involved in such litigation,” Popovich told reporters in announcing his retirement. Then-Gov. Rudy Perpich, still reportedly upset that members of the court allowed Arne Carlson’s name on the ballot after GOP nominee Jon Grunseth was caught in a compromising position, sat on naming a replacement until his last day in office. On that day, he appointed appeals court judge Sandra Gardebring to the vacancy, giving women a majority on the court. “He helped bring a fuller measure of justice to half the population,” Lori Sturdevant wrote in her biography of justice Rosalie Wahl last year. And it wouldn’t have been possible had the mandatory retirement age not kicked a man off the court.